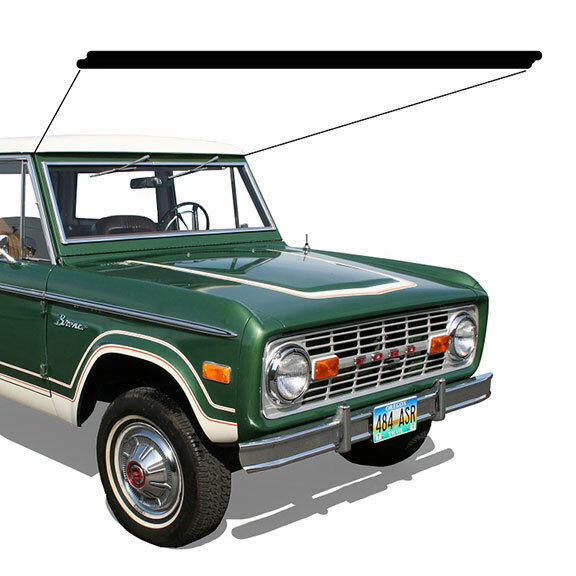 New Top Windshield Frame to Hard Top Gasket for 66-77 Classic Ford Broncos. This seal mounts on top of the windshield frame where the hard top mounts to it. Excellent quality reproduction of the original seal. If you have a vacuum style windshield frame, additional holes will need to be made into seal to make it fit properly. Fits 1966 to 1977 Ford Broncos. Will require cutting hole openings for 1966 to 1968 vacuum style windshield frames.